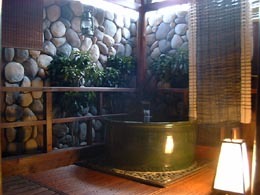 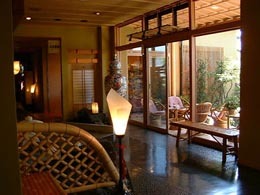 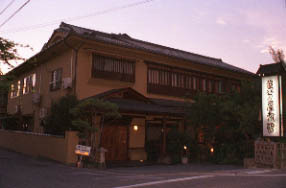 A Ryokan complete view and here have very many local visitors, and come a meal and a bath here to a pleasure, you. 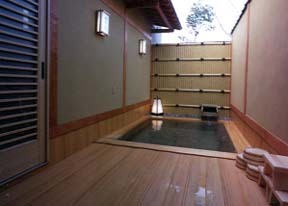 The refurbished guest room "Kasumi" open bath. 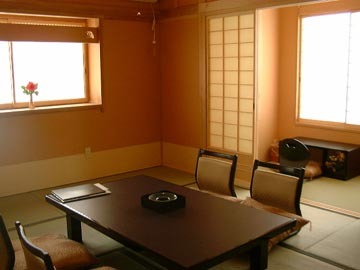 A guest room with a Separate-from-main open bath "Yuraku-tei"